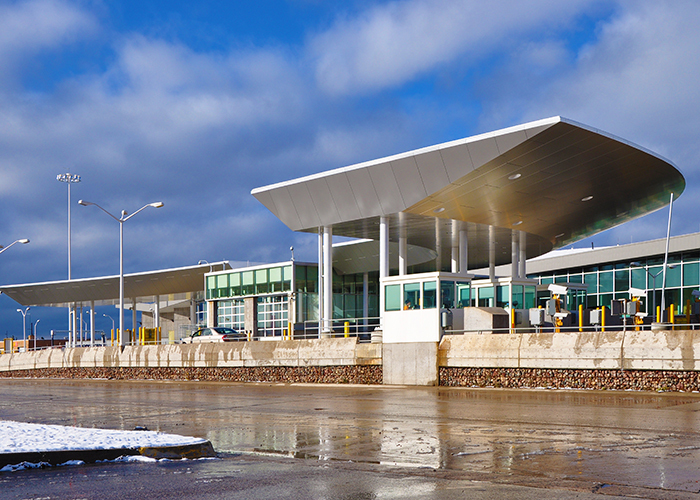 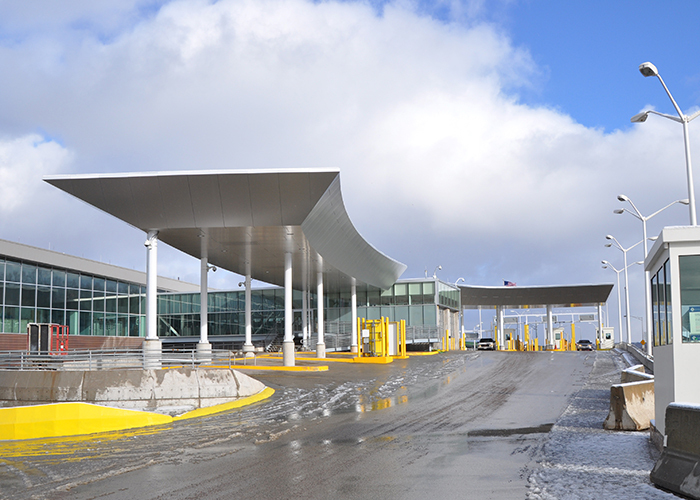 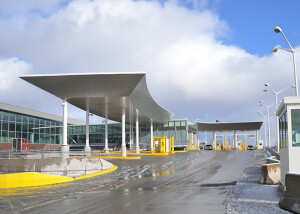 The U.S. Land Port of Entry Canopy at Sault Sainte Marie, Michigan, is made up of two long-span canopy structures including a main inspection canopy with a 30-foot cantilever from the primary column line. Both canopies replace existing canopy structures and utilize existing foundations and a new column line supported by drilled concrete shafts that minimize site disruptions. 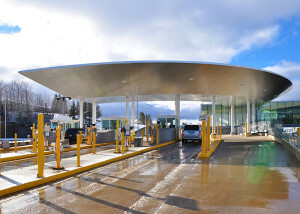 The new canopies correct the serviceability issue of sliding snow and are designed to provide extended cover for employees and vehicles and withstand heavy snow loads.